The South African Wind Energy Association (SAWEA) has rejected the current base case scenario used for the 2016 updated Integrated Resource Plan (IRP), which is currently out for consultation. SAWEA, following extensive consultation with its members, calls for the scenario to be remodelled as a ‘least-cost energy plan’ and re-issued for consultation. SAWEA CEO Brenda Martin explains: “The current update includes unjustified artificial constraints on the connection rates for wind and solar PV. A least-cost base case is an essential starting point for the IRP process and government has an obligation to select the most affordable electricity supply options available”. “The South African economy and electricity consumers have a right to see the full picture in terms of future potential for energy supply and associated financial considerations. The cost implications of any policy decision to depart from the least-cost base case should be explained, quantified and justified to ensure rational and transparent trusted policy making”. In their submission to the IRP2016 update, the Council for Scientific and Industrial Research (CSIR), claims that without artificial constraints a starkly different base case emerges. This offers a significantly lower total cost to the economy, a far lower level of carbon emissions, and a substantially lower demand for raw water. Grid networks can be expanded to address capacity expansion and should not be considered a fundamental issue. SAWEA’s submission acknowledges that grid constraints may create temporary obstacles but asks that these constraints be determined through independent studies and results shared transparently, rather than by Eskom which has a conflict of interest. “SAWEA’s submission asserts that each of these considerations are sufficient justification to re-run and re-issue the base case. This is not just a sector-specific issue – the people of South Africa deserve to have the most cost-effective, accessible electricity system. We urge all citizens and organisations to take up this opportunity to influence electricity policy, before the deadline of 31 March,” concludes Martin. South Africa has abundant natural resources. In excess of 70% of SA’s land mass has the wind conditions to capture wind energy efficiently. Already we have 19 wind farms with more than 600 turbines connecting 1417 MW of electricity to the grid. The Renewable Energy Independent Power Producers Procurement Programme (REIPPPP) has already procured 3.365GW of wind energy and if the programme proceeds without further delay, this allocation could be achieved annually. So far R91.1 billion is committed to various development initiatives under the REIPPPP. Since 2013, the construction and operation of renewable energy projects has already created 111,835 job years for South African citizens. With policy certainty, value chain growth effects can further accelerate job growth. By March 2016 over R30 billion had been spent on local content and a further R65.7 billion is expected to be spent by projects that have yet to commence construction. Twelve new industrial facilities have been established as a direct result of the programme. Latest global statistics show renewables emerging as the most effective, cost-efficient energy supply option, which also addresses the dire consequences of climate change. A recent International Renewable Energy Agency report showed that wind power is already the cheapest new build option in South Africa (and many other countries). 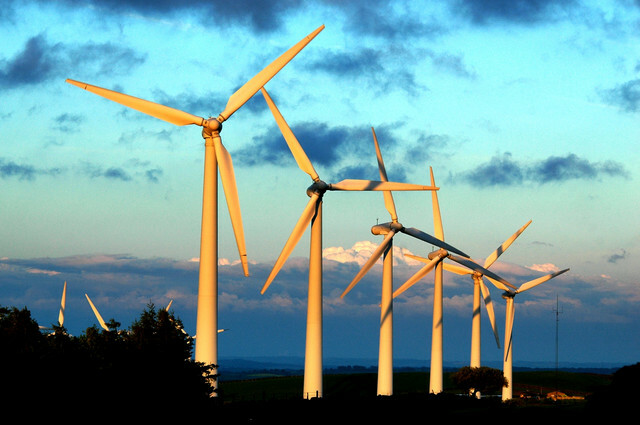 The report predicts that renewables can provide 80% of global energy demand by 2050. SAWEA is committed to making South Africa a part of this energy transformation with all the financial and environmental benefits it can bring.